Atto Tetteh is a men’s wear brand, founded in October 2014, and is based in Accra, Ghana. We believe Africa has a story yet to be told. The African man, bold, strong and courageous has always been fashionable. 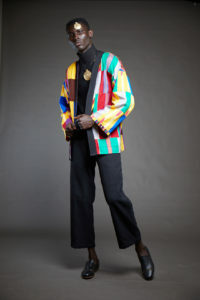 Colour, warmth, energy, sophistication and sartorial elegance is our description of this fashion sense. 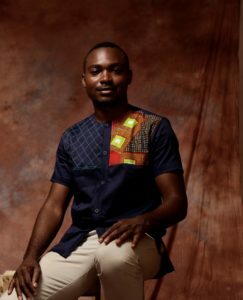 Atto Tetteh, a young luxuriating brand, provides men all over the world with quality and trendy clothes which has a touch of African appeal. With very carefully selected fabrics and immense attention to detail, we construct clothes that fit and makes the Atto Tetteh man exquisite. 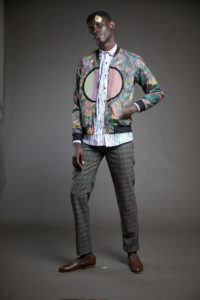 George Tetteh, a young menswear designer, is the Creative Director and founder at Atto Tetteh. Atto, as he’s popularly called, has a strong design aesthetic and is largely inspired by his African culture and environment. He passionately tells the African story through the making of elegant and sophisticated clothing, carefully and meticulously constructed for the Atto Tetteh client. 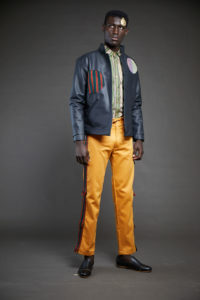 Through his fashion pieces, the Atto Tetteh brand offers the opportunity to experience this growing trend of African elegance in the menswear arena. These are carefully selected values and principles that guide our activities, our products and our services, and most especially our relationship with our customers. It’s upon these pillars that the Atto Tetteh brand is built. We thrive on customer satisfaction and contentment and hope to always leave the Atto Tetteh Man with a smile.